Add a beautiful piece of fused glass functional art to your home décor. 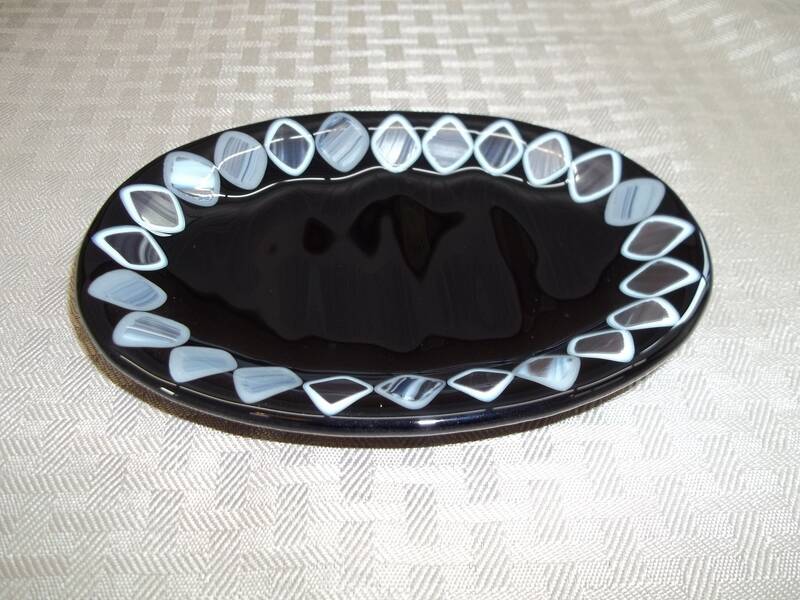 This piece was handcrafted using black opaque glass and accented with gray and silver. Sections of this special glass turn a metallic silver when fired in the kiln. Fired twice, the first firing fuses all of the glass into one piece, the second gives its shape when fired in the ceramic mold. Measuring 5 3/8" x 3 7/8", this unique piece will add beauty to your home décor.